The people of Davao City will be marking this year’s Araw ng Dabaw festivities on March 16. The day, which falls on a Saturday, is a special non-working holiday in the city as declared by Republic Act 7551. The law, which was enacted in 1992 during the time of then-President Corazon Aquino, says that officials of Davao City shall “lead appropriate and meaningful celebrations and activities participated in by officials and employees of the national government agencies or instrumentalities, civic, religious and nongovernment organizations, and private companies” doing business there. Read the full text of RA 7551 here. Davao City came into being in 1936 when Romualdo Quimpo, a congressman from the region at that time, filed Bill Number 609 which created the City of Davao from the Town of Davao (Mayo) and the Guianga District. Davao was inaugurated as a chartered city by President Manuel Quezon on October 16, 1936. Know more about one of the key events in this year’s celebration of Araw ng Dabaw in this link. 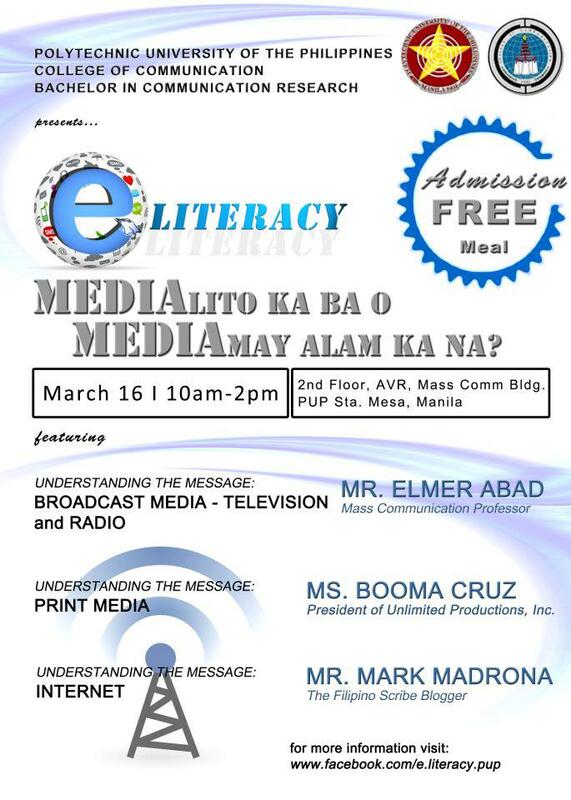 Personal: Fourth year communication research students from the Polytechnic University of the Philippines will be having a forum on media literacy this coming March 16. Speakers will be Mr. Elmer Abad, a mass communication professor, Ms. Booma Cruz of Vera Files, and yours truly. Admission is free.